WodGuru - all-in-one gym management software. 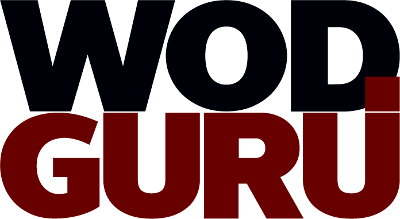 WodGuru combines members management, online payments, advanced reporting, mobile app, sign ups... Basically, everything you need to run your businnes in an easy and calm way. Business owners don't like complex tools. We know that! That is why WodGuru keeps things simple. Waay simpler, than other tools on the market. Our easy to use point of sale app, can be easily integrated with hardware. As a main part of the platform allows your crew to manage user base, inventory and trigger transactions. WodGuru is accessible from every device connected to internet. That is why, wherever you are, you have full control over your gym. App can be used by you and your members. You can easily manage whole gym in your phone. Your members can sign up for classes, track their fitness, pay for membership and see whole transaction history. You can easily integrate WodGuru within your website. Your new members can create account, register to classes and pay for their membership directly from your website. "Amazing app for both gym owners and members themselves. Easy workout signups, convenient store management and many many other useful functions." "The best software I had a chance to use and I strongly believe, that there is no chance to beat it. Amazing and fast support from the owner, who is very open on new ideas and software improvements."